Now that it's cool to care about the Boston Marathon again, Fittish would like to familiarize you with the runners at the front of the pack. 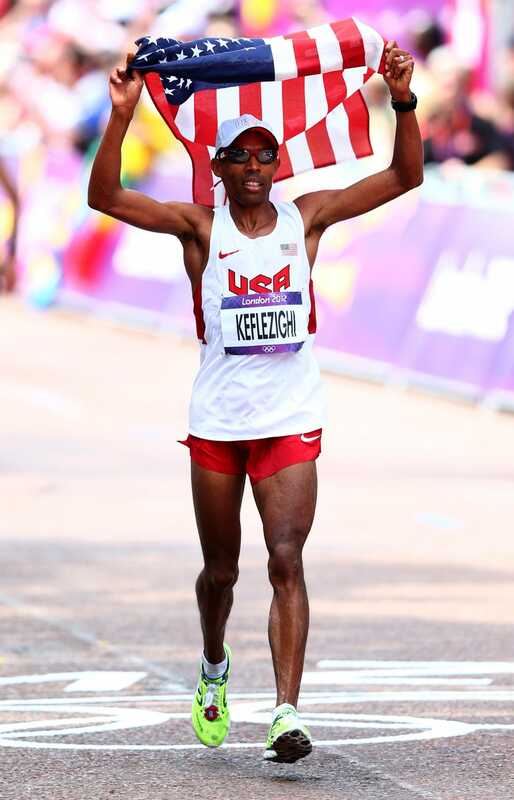 Today's elite: Meb Keflezighi. There's a Geb and a Meb? : And a Seb (Sebastian Coe)! Oh, He's One Of Those "Americans": Don't start with that crap. Meb's about as American as they come. Unlike Bernard Lagat and Khalid Khannouchi, two American record holders who were also born in East Africa, Meb moved to the States in middle school, and gained American citizenship before he turned pro. He went to grade school here, college here, and lives here. Yes, he is of Eritrean descent, but we'll leave that discussion for a later day. But The Other Day You Said The Top Runners Only Have Seven to Ten Good Years: Okay, I lied. Or, better said, I ignored some significant outliers, such as Meb. But don't expect anyone to repeat this kind of long-term success anytime soon — Meb has been good-to-great for probably as long as any marathoner ever. Likelihood of Victory: Sadly, not great. His supporters will tell you that he typically fares well on difficult courses (hence, his slow PR and success in hilly or warm conditions), and was a top marathoner as recently as 2012. But after a disastrous 2013 (DNS at Boston; sad but gritty 2:23 at NYC), it's getting harder to ignore the miles on his legs and advancing age. But talking about Meb's times and places misses the point completely. He's one of our sport's greatest ambassadors, and regardless of where he finishes, he'll be the one with thousands of fans and smile on his face at the end. Fun Fact: Since the race for the Presidency is not a sprint but a marathon, the early favorite is Jeb.